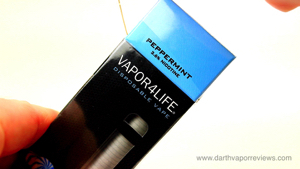 I reviewed these disposables a few years ago and I loved them then, but with the redesign, V4L has really hit the mark. 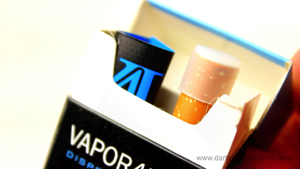 The designer of these disposables used to be a five pack a day menthol smoker, so he knows his cigs and has done an excellent job with the realistic attributes that these have. * Batteries can't be recharged. 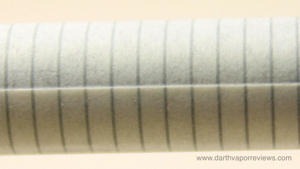 * Soft tip, chewable filter. 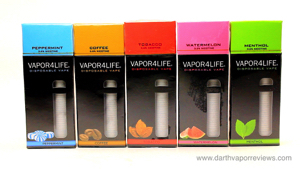 The Vapor4Life Disposable E-Cigs Vape Sampler Pack comes with five different flavored disposable electronic cigarettes. They come in a box similar to a hard pack of smokes with the familiar Gold pull string to remove the top plastic. 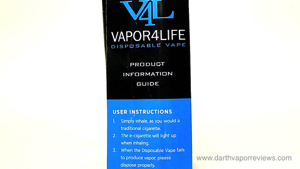 Flip open the top to find a product information guide to get you started and the Vapor4Life disposable electronic cigarette. 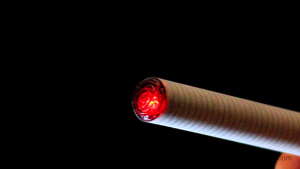 The disposable e-cig features an authentic paper wrap, an ash tip that glows Orange while you take a puff, and a soft-tip, chewable filter that completes the authentic look and feel. 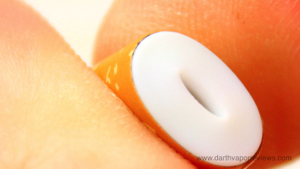 To get started, just remove the protective silicone tip and you're ready to vape. It's been almost five years since I've smoked a cigarette, but I do have friends that still smoke and from my memory, this is about as close as you can get to being a real cigarette without being a cigarette. 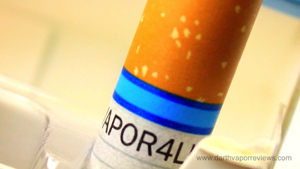 The increase from 1.2 milligrams to 3.6 milligrams of nicotine is the icing on top. 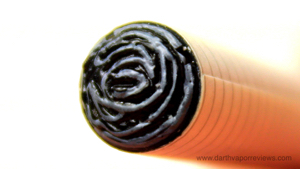 As a vaper, I'm more about excellent dessert flavors combined with great vapor production, but as a smoker I was more about an excellent and smooth throat hit. 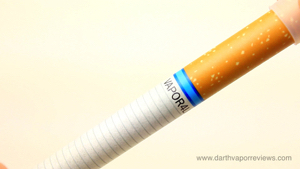 To pick up some V4L disposable electronic cigarettes for yourself, friend or family member just click on the logo or links below. Have an excellent day and may the Vape be with you. These disposables contain no tar, no tobacco, no smoke, no ash, they don't stink and they won't leave little round burn holes in your cars upholstery. These flavors are available separately or save $5 and get the Sampler pack. 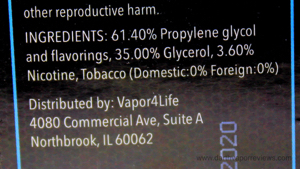 The 3.6% nicotine, from my memory, is on par with the throat hit of a cigarette and it will satisfy the nicotine urge must faster while tasting great. The Peppermint was both sweet and cooling. Probably a reason why it's one of their most popular flavors. So, now is the time to finally put down the smokes and start living a healthier life. Wake up breathing instead of hacking.